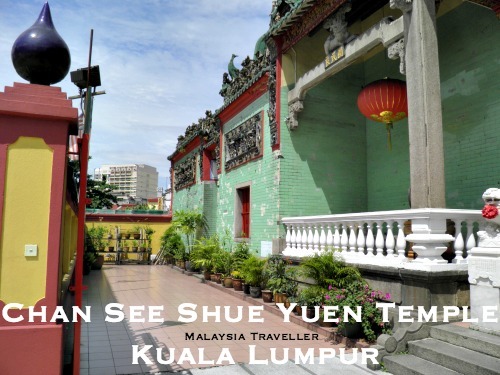 The Chan She Shu Yuen Ancestral Hall (CSSY) at the southern end of Jalan Petaling in KL is actually a clan association building rather than a pure Chinese temple but since it incorporates a family temple I have included it under this heading. 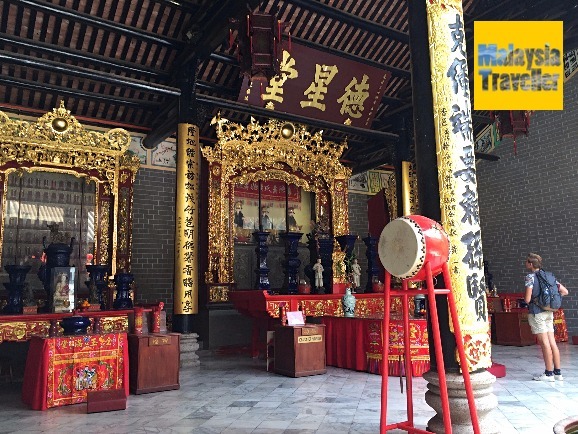 A clan association is a kind of club for people with the same surname which in this case is 'Chan' and includes 'Tan' and 'Chen' whose names are written using the same Chinese characters. That makes it a very big clan! The association would have helped new immigrants to settle, find work and so on. 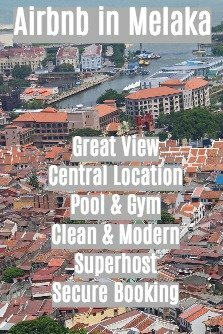 The association’s name in English is spelt in various ways including Chan See Shu Yuen and Chan See Shue Yuen. CSSY’s own brochure uses the spelling above. The CSSY building was built between 1899 and 1906. 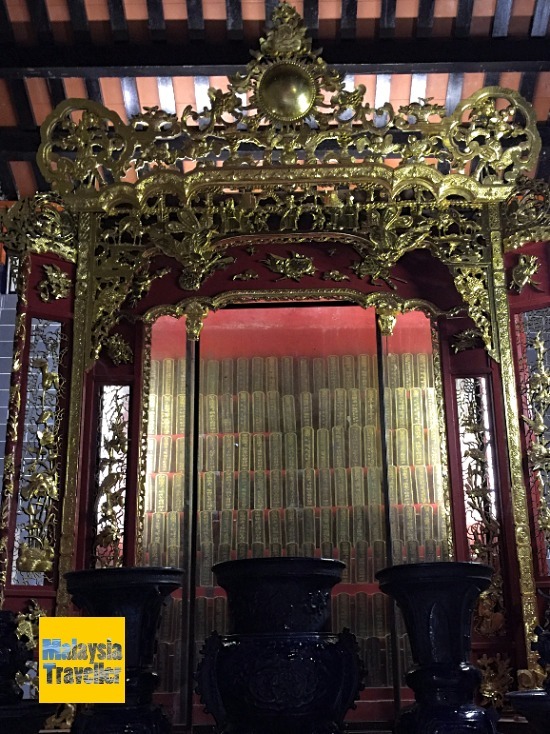 All the materials and craftsmen were imported from southern China which is where this clan originates.The Ling Nan architectural design was closely modelled on the Chan Clan Ancestral Hall in Xiguan, Guangzhou, China and the style is typically Cantonese, incorporating Han and Baiyue elements. Along the roofline are many detailed pottery figurines of ancient Chinese drama personalities and mythological characters. It was believed that the dramas performed by these figures would provide endless entertainment for the clan ancestors to watch. 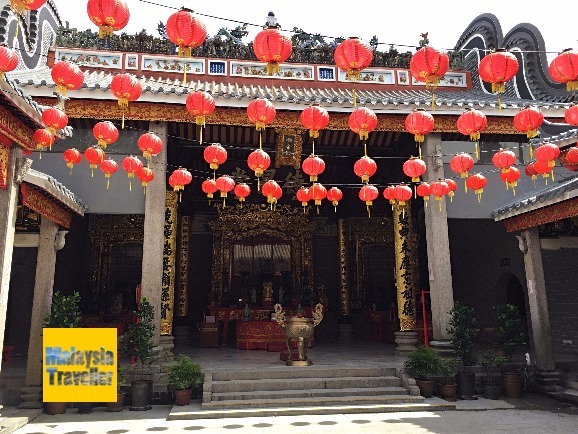 As this architecture is rarely found outside China in such a well preserved condition the building was declared by the Malaysian Government as a protected heritage building of national importance in 2006. 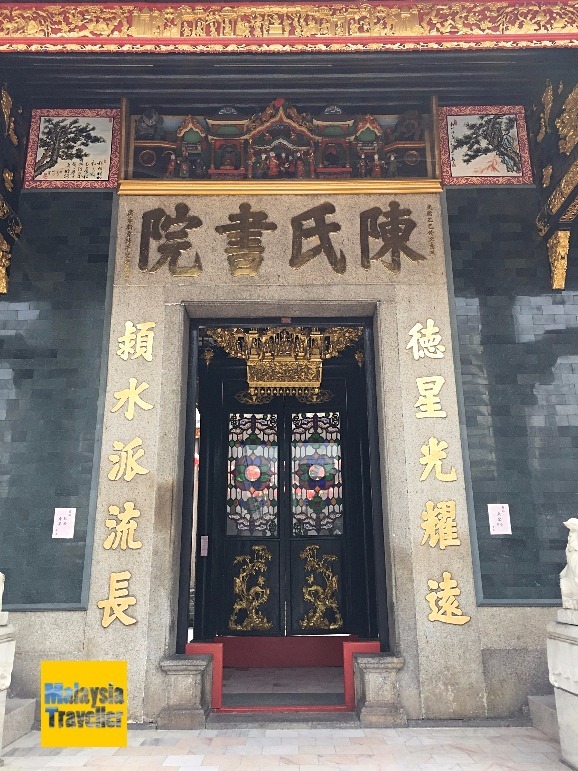 Since the above photo was taken the green tiles have been replaced with grey, more in keeping with the original ancestral hall in Guangzhou. 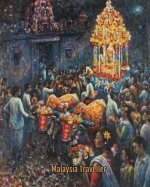 The association continues to pay respects to the Chen’s great grand ancestors and encourages their descendants to adhere to their values of morality, filial piety, loyalty, honesty, trustworthiness, wisdom and hard work with the aim of living with dignity, prosperity and contributing to society wherever they live. No doubt these strong values and traditions play a big part in the success of Chinese communities all over the world and it’s a pity we in the West do not follow their example and pay more attention to our ancestors and elderly instead of just shoving our old folk into care homes. Open daily 8 am - 6pm. Entrance to the temple is free.